Renovation can simultaneously be the most challenging and rewarding of projects. Many of the challenges in this kind of work come from the unexpected and the unknown, something that professional builders and project managers deal with on a regular basis. As different issues arise, so can costs – rise that is – which can make the business of ensuring that you have adequate funds to see the project to fruition a taxing business. UK personal loans on offer from high street banks like Santander are one of the most accessible forms of credit for the private individual, and are therefore a popular option for many contemplating renovation work. Here we look at two of the most important aspects of the personal loans available in the UK. There are two key features of personal loans that are essential to grasp for those researching all of the possible options for financing a renovation. 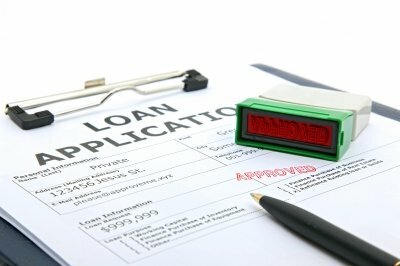 In technical terms, personal loans are unsecured, and pretty much always come at a fixed rate of interest. Perhaps the easiest way to define the ‘unsecured’ part is through comparison with a ‘secured’ loan. Mortgages are one of the most common forms of secured loan. The mortgage loan is granted on the understanding that if you stop making repayments for any reason, the bank can repossess the property, enabling it to recoup some - if not all - of the money it loaned out to you through the mortgage. Thus, the property provides security on the loan for the lender. Unsecured loans such as personal loans are not set up with a fixed security arranged from the outset for the lender, should you default on the loan. If you stop making loan repayments, the lender will of course take measures to get back the money that you owe, such as taking you to court if things get drastic. However, since there is no asset automatically in place to act as security for the lender, personal loan applications are judged carefully, as they are more risky for the lender. In the simplest terms, personal loans are only granted to people with reasonable credit histories. The better a proposition you look in terms of being able to repay, the better terms you will be offer on the deal – or in other words, a lower interest rate. If you have had a problem with repayments on credit products in the past, however, your application will not necessarily be declined - the loan will most likely offered at a higher interest rate.